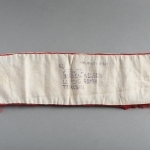 This red-and-white armband bears the names of four concentration camps: Auschwitz, Bergen-Belsen, Leipzig and Terezin. They are the camps where Edith Reh (nee Edit Mauer) was deported during the Holocaust. Her prisoner number 50171 is also written on the armband. 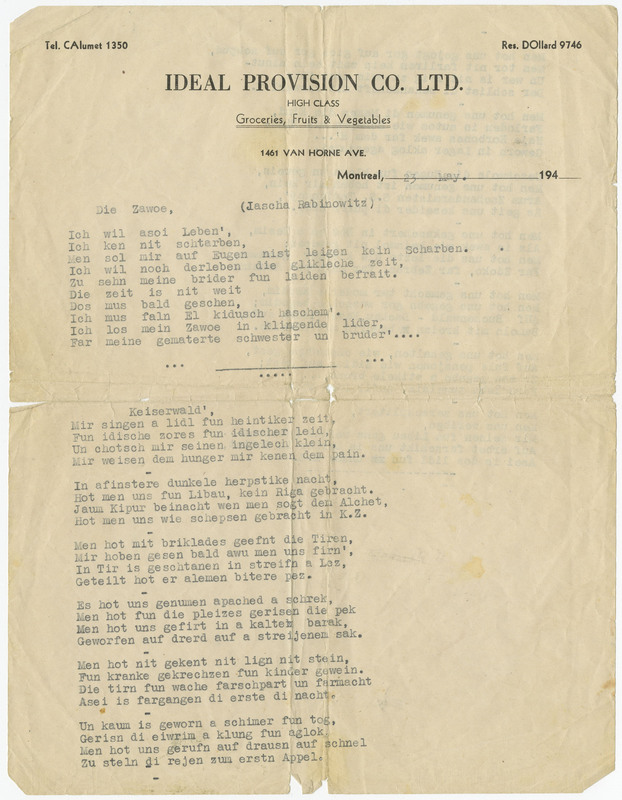 Edith wrote these inscriptions after the war as a memento of her experience in Nazi concentration camps. 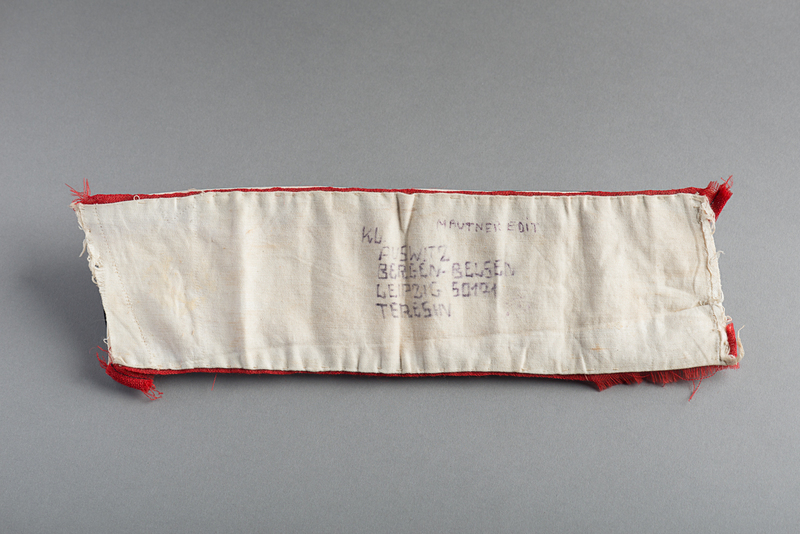 This red-and-white armband bears the names of four concentration camps: Auschwitz, Bergen-Belsen, Leipzig and Terezin. They are the camps where Edith Reh was deported during the Holocaust. Her prisoner number 50171 is also written on the armband. 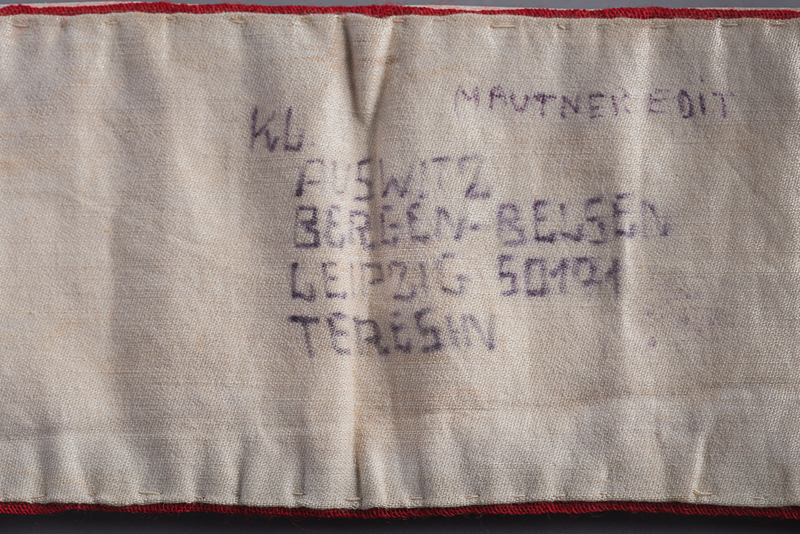 Edith wrote these inscriptions after the war as a memento of her experience in Nazi concentration camps. Edith Reh and her mother were deported from Hungary to Auschwitz. The two women were separated and Edith’s mother was sent to the gas chamber. Edith had a foot infection and spent six weeks in the camp infirmary. 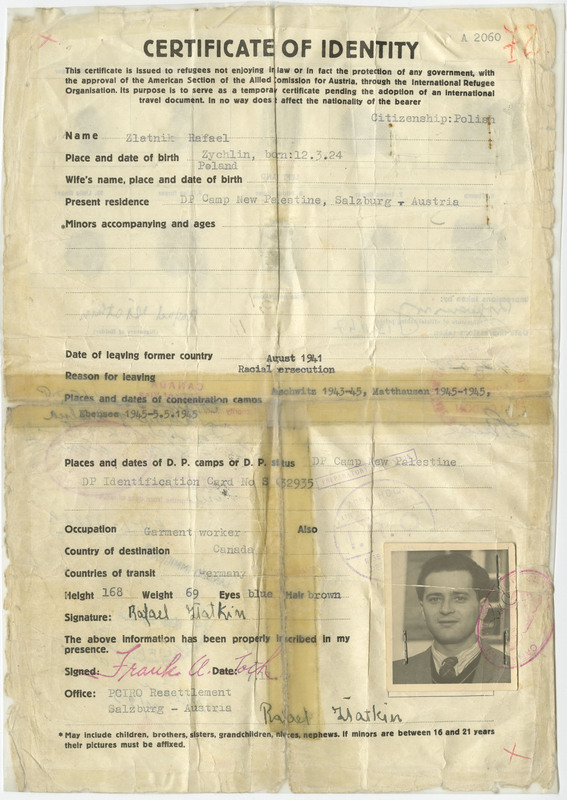 In September 1944, she was deported to Bergen-Belsen and selected for forced labour. She was later forced on a death march to the Theresienstadt camp-ghetto in Czechoslovakia. Edith received this armband upon her arrival. With the approach of the Soviet army, German guards abandoned the camp-ghetto and Edith was liberated on May 8, 1945. Edith Reh donated this armband to the Montreal Holocaust Museum in 1987. 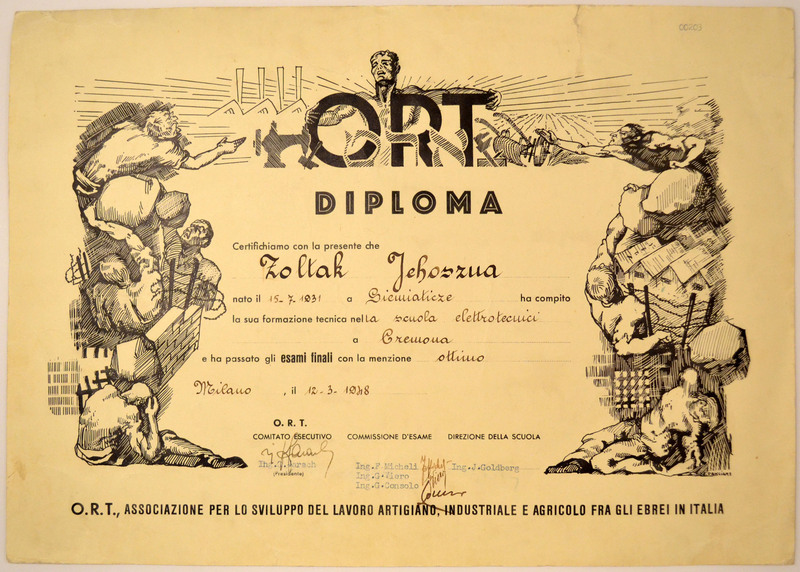 It is currently displayed in the Museum’s permanent exhibit.